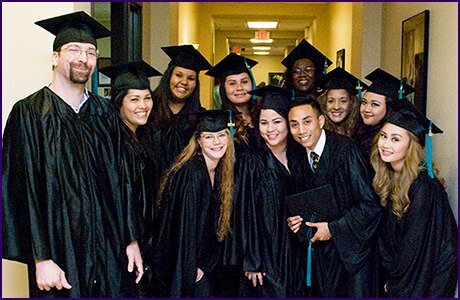 Graduation is an exciting time for everyone at Northwest Career College! Please use this page to begin your graduation count down. You will need to make sure that every item on your graduation checklist has been satisfied in order to receive your diploma and walk at your graduation on August 3, 2018. Please take a few minutes to create your graduation account and become familiar with all of the items needed to graduate. Do you intend to walk at the August 3rd, 2018 graduation? How many guests will you be bringing to graduation? We are sorry to hear that and we will miss you but we wish you all the best success in your new career! If circumstances change and you are able to attend, call the Registrar at (702) 887-1825. Reminder, graduates arrive at 4:30 p.m. and family and friends arrive at 5:00 p.m.